Safety Pool Covers Protect your Family, Pets and Swimming Pool! Our Safety Pool Covers Help Prevent Accidental Drownings in Backyard Swimming Pools. Order any of our Safety Pool Covers & have peace of mind now ! Why Buy Merodynamic Custom Made Swimming Pool Covers? Stainless Springs/Brass Hardware Assure Your Covers Longest life. Lightweight Materials Allow for Easy Installation & Removal. Each Safety Cover is Designed By a Computerized C.A.D. System. Pool Covers are Complete with 10, 15, or 25 Year Warranty. Secured fastening System reduces Intrusion. Your Safety Cover can be used Year Round. Will Reduce your Spring Clean Up Costs Immensely. Our Installed Pool Covers come with a Guarantee on workmanship. 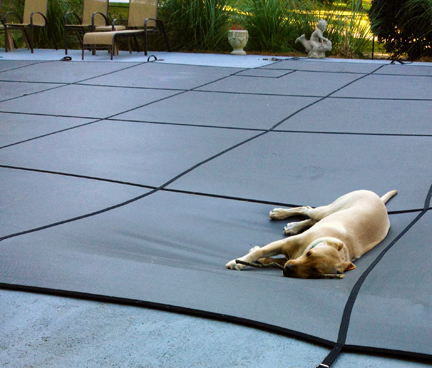 Our Safety Covers compliment Your Back Yard During the Off Season. Don’t Take Chances with ACCIDENTS or Unnecessary Cleanups ! MERODYNAMIC POOL COVERS ARE THE BEST QUALITY NATIONWIDE! SAFETY POOL COVERS PROTECT YOUR FAMILY, YOUR INVESTMENT AND KEEP “HOTLANTA” SAFE !